Digital LED numbers template. 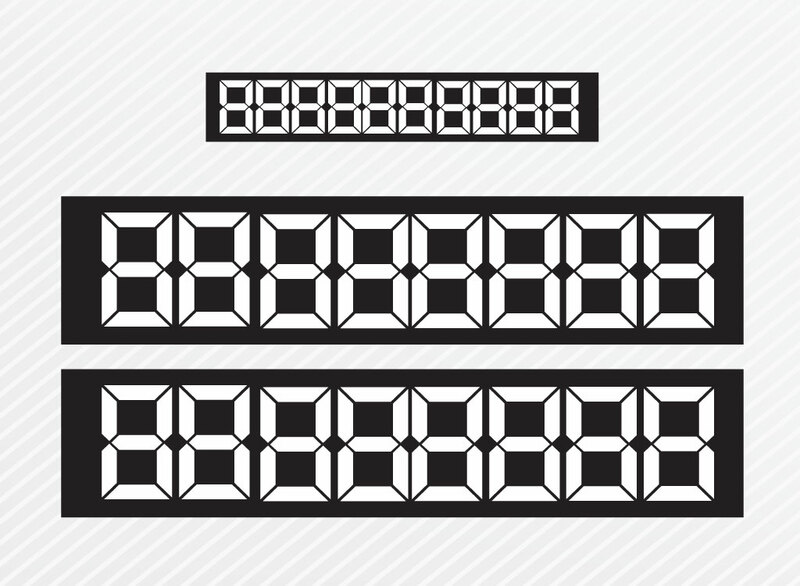 Vector pack containing LED style number boxes like you'd see at a sporting event. Two boxes have eight number places and the third smaller graphic has ten. Free download for your team sports newsletters, fantasy league websites and retro technology themed illustrations. Tags: Automatic, Board, Data, Digits, Display, Panel, Results, Score, Sports, Time.